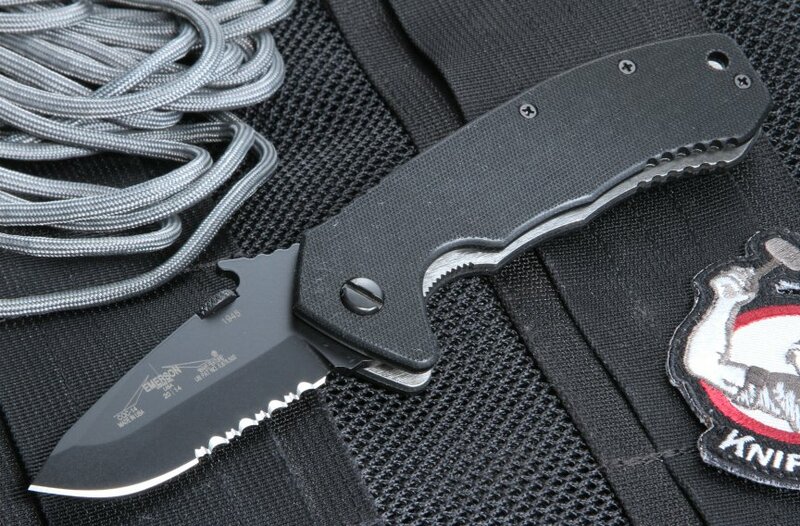 The Emerson CQC14 BTS Snubby Tactical Folding Knife available at KnifeArt has a blade with partial serrations that is black coated and made of 154CM stainless steel. 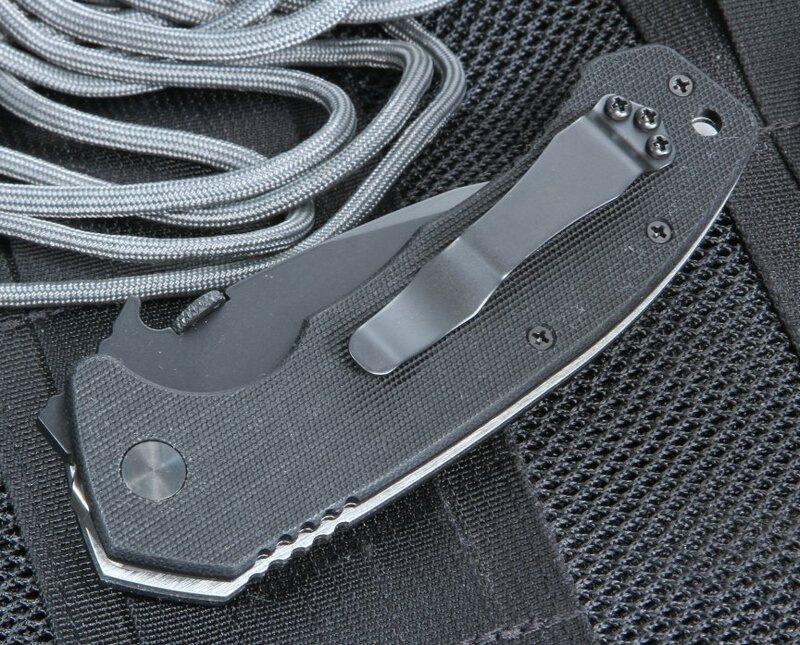 The blade is just 2.75 inches long and features Emerson's patented wave design. This 4.9-ounce knife also has a swedge on the tip of the drop point blade. 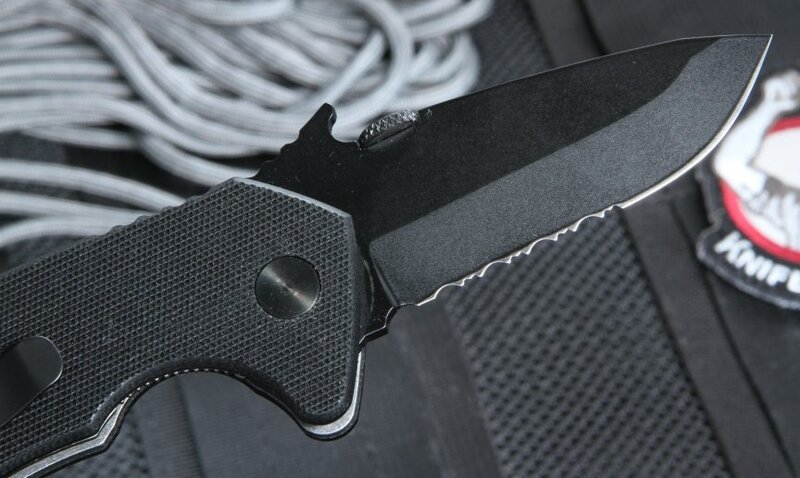 The textured black G-10 handles are coarse and easy to get a good, firm grip on, and they include a filed thumb rest to further enhance the grip. 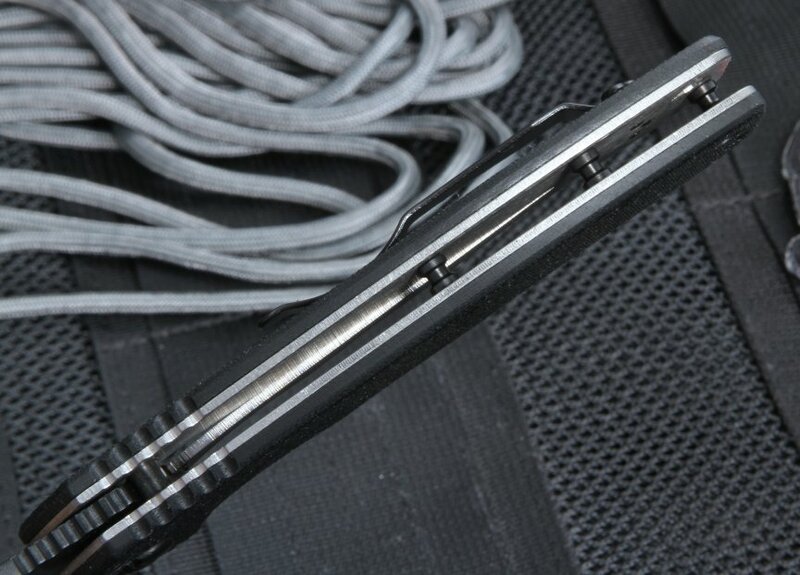 There is also a lanyard hole in the handle. 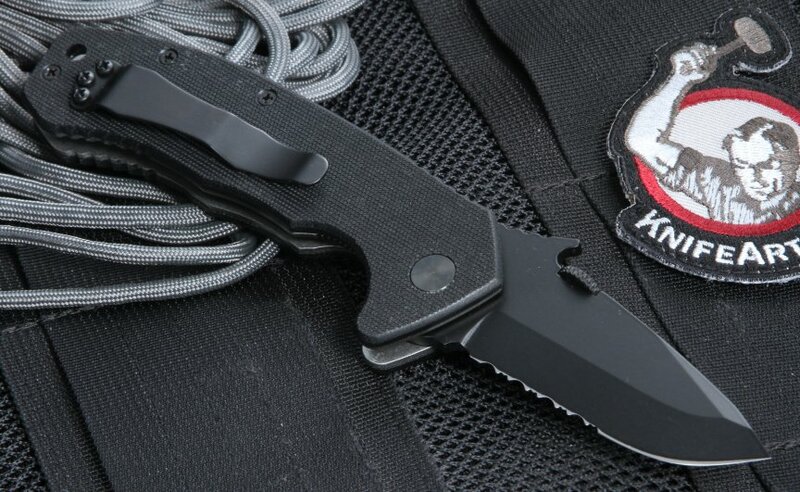 The closed size of this easy to carry pocket knife is 5 inches. 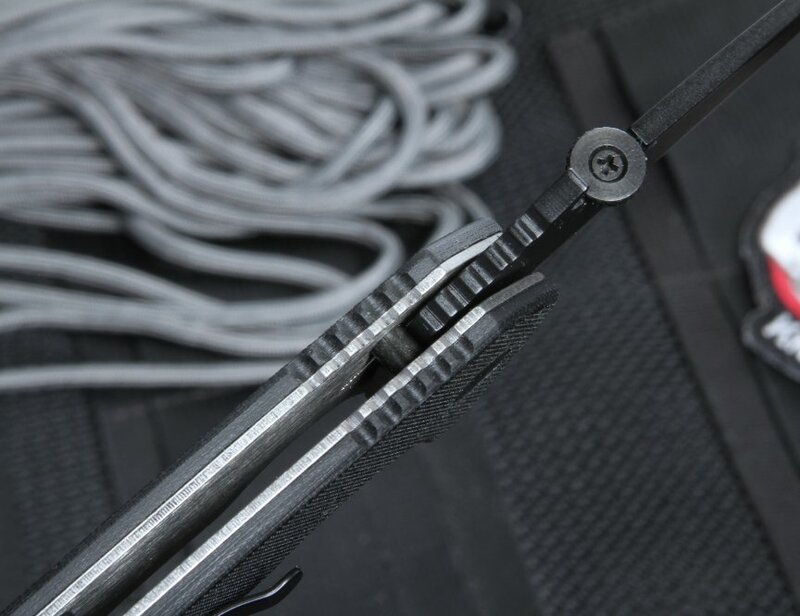 When you order the Emerson CQC14 BTS Snubby Tactical Folding Knife from KnifeArt, your order will be sent with no additional fee for shipping.